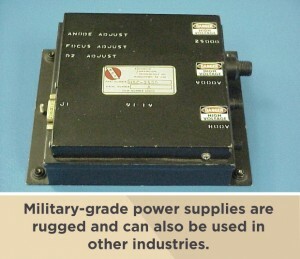 Extreme-condition power supplies are often associated with demanding uses and environments related to military applications. Because of this, a ruggedized power supply must meet some of the strictest safety and performance standards found within the power supply industry. That’s why, with more than 35 years of experience manufacturing custom ruggedized power supplies, we’re an industry leader in supplying rugged power supplies to the U.S. military, defense contractors, the aerospace industry, and other industrial organizations where withstanding harsh climates and heavy usage is the norm. Regardless of the industry, when we’re entrusted to manufacture ruggedized equipment such as rugged AC-DC power supplies, all of our highly trained engineers, assemblers, test technicians, and machinists know that reliability is the utmost test of the quality of their workmanship. When lives are on the line — whether on land, aboard ship, or in the air — our entire team makes it their responsibility to supply you with products that repeatedly deliver — even in the most punishing conditions. Whether it’s stringent environmental requirements or complex performance specifications, we have the experience in manufacturing application-specific ruggedized power equipment that meets some of the toughest standards you can imagine. From military specifications that outline the performance needs of aircraft, ground use, and naval applications to standards that cover everything from shock testing to vibration levels, we have the in-house expertise to build what your ruggedized equipment requires. Since military standards are updated regularly, our technology and staff are always up to date on the latest designs, materials, and manufacturing methods. 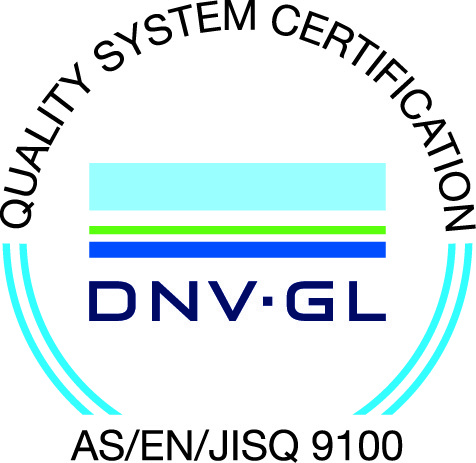 Not to mention, our quality management system is fully certified to meet both AS9100D and ISO 9001:2015 standards. In addition, we have some of the strictest supplier policies in place to prevent issues with counterfeit materials and conflict minerals. With the total experience to build rugged power supplies to meet MIL-STD-810 standards for environmental design, including surviving drastic temperature shifts and random vibration, MIL-STD-461 standards for electromagnetic interference, and MIL-S-901 standards for high impact shock, we have the versatility to meet all of your power supply needs. Plus, with our fully-integrated production process, you get ruggedized equipment that’s designed, manufactured, and thoroughly tested all under one roof. This results in both cost and risk reduction. And it means you get a rugged product that’s built right and then tested to operate predictably and reliably. To learn more about our ruggedized power supplies and equipment, contact us today.